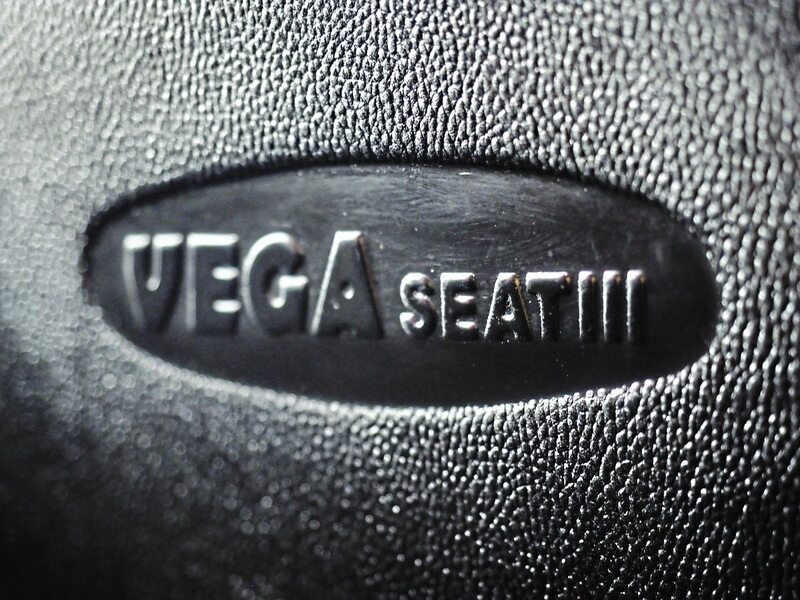 The Vega seats can be side-shifted and reclined. A new, Euro VI version of the Higer Super 9 integral midicoach has been launched, featuring a raft of improvements on the original. 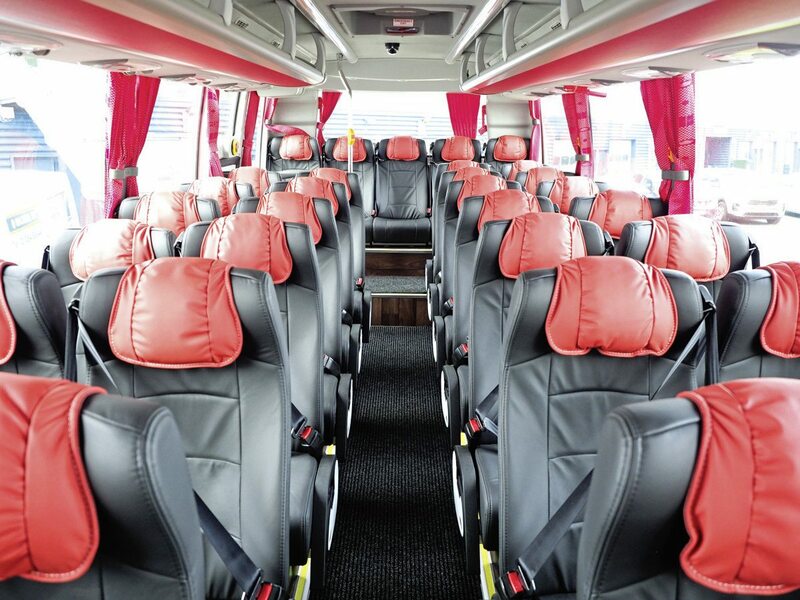 The Chinese-built midi, rechristened Super 9XL has been lengthened to 9.6 metres and can now be configured to carry as many as 41 seats, though 39 is the standard when the coach features a full, stepped rear exit. 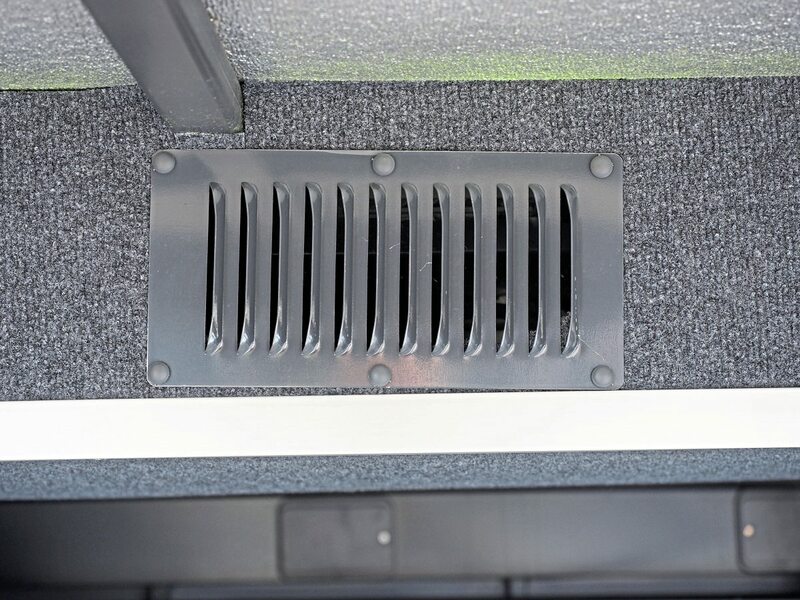 The coach is powered by the respected Cummins ISB Euro VI four-cylinder 6.7-litre engine, running through ZF’s EcoLife automatic gearbox. 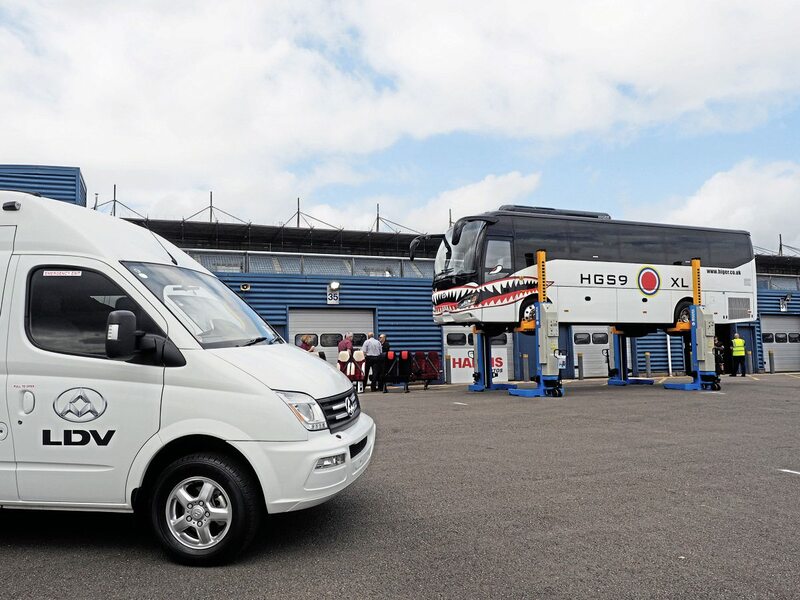 At the UK launch at Rockingham Motor Speedway, importer Harris Auto showed off three examples, one of which used the circuit’s track for operators to road-test the vehicle fully. The two show vehicles sported differing levels of specification with an £8,000 price differential. Although Harris Auto was keeping the price close to its chest, it is believed to be around £160,000. 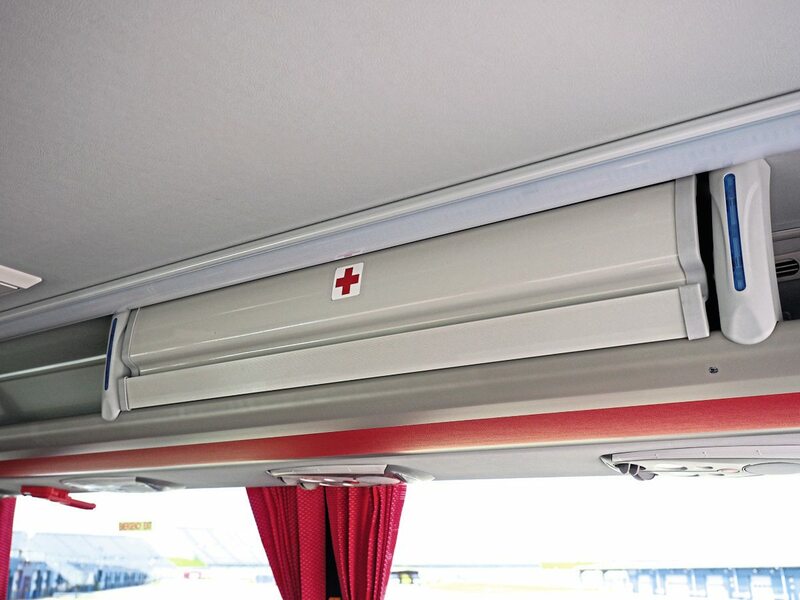 Harris Auto has liaised in some significant re-engineering of the original, including very impressive levels of sound-proofing, rebuilding the lower panels and luggage doors in aluminium alloy, extensive corrosion proofing and a near total interior revision. 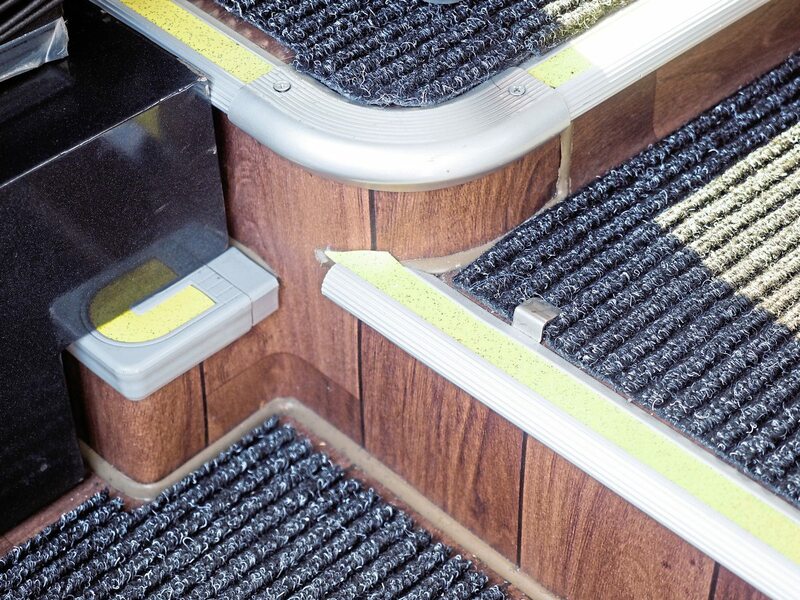 The show examples had wood-effect, train-grade flooring and leather seats, and met with broad approval from operators. 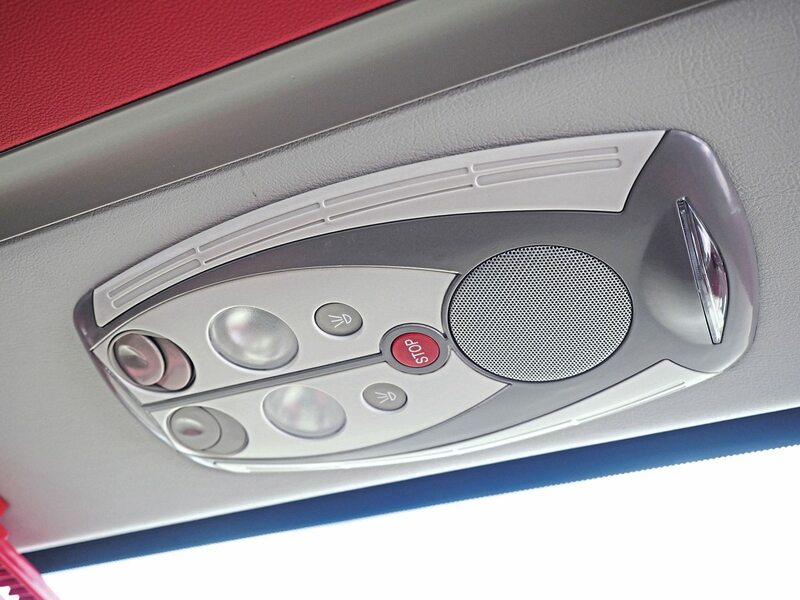 The driver cab has its arrays of switches within easy reach and the handbrake and gearbox toggles very conveniently positioned next to the driver’s right hand. The speedometer, to the left, and tachometer are fully visible through the steering wheel, with a central Actia LCD screen monitoring the coach’s other systems. 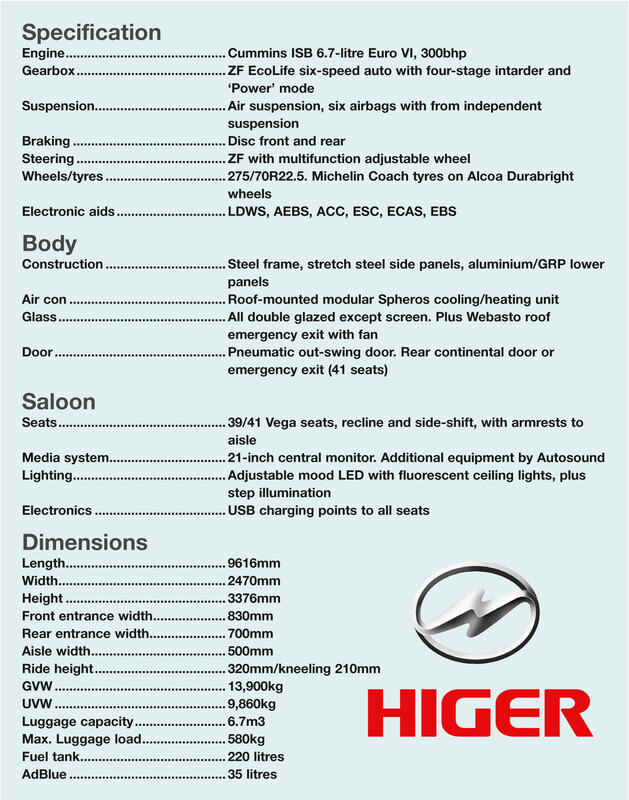 Higer has, unusually, provided switchable power options for the driveline. In normal use, economy ‘E’ mode is selected but the driver can get a boost for hillclimbs and work the 300bhp engine harder by selecting the ‘P’ power mode. 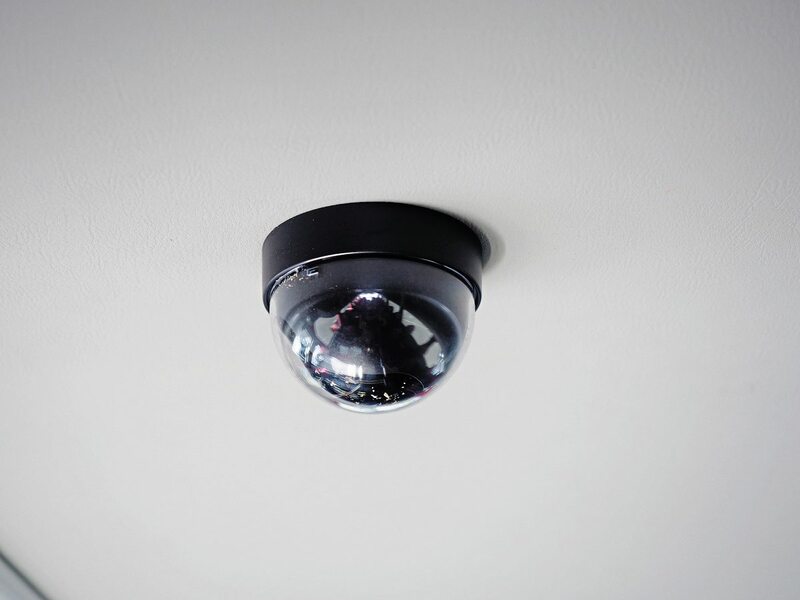 The driver has the benefit of a six-camera CCTV system installed as standard, with a reversing camera. The passengers get Hong Kong-made Vega seats, with recline and side-shift over the sunken aisle. 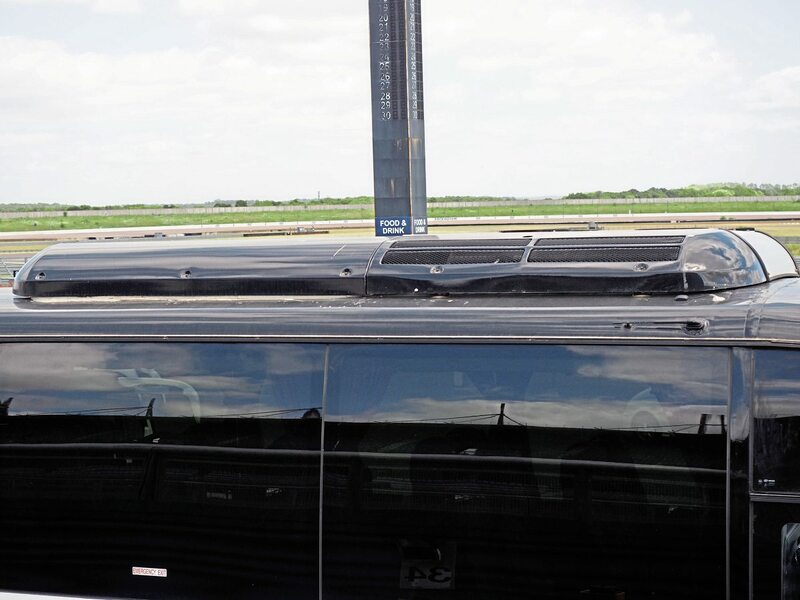 They have detachable headrests and aisle-side arm rests but – acting on operator requests – have no footrests, seatback tables or magazine nets. These can be specified to order. They do, however, have grab handles and a bag hook. 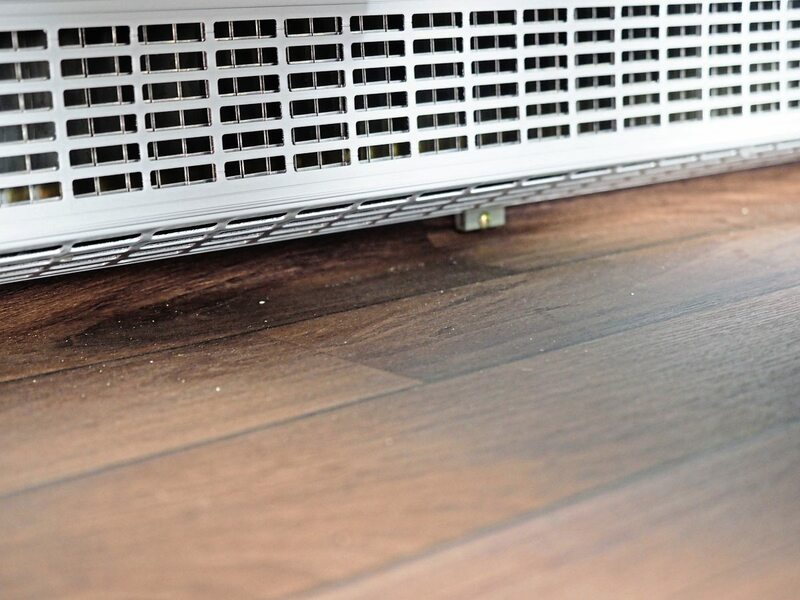 Harris Auto has opted for modular air-conditioning/heating unit, which is entirely electrically powered, and has very low service requirements. The unit is matched in black to the roof colour. 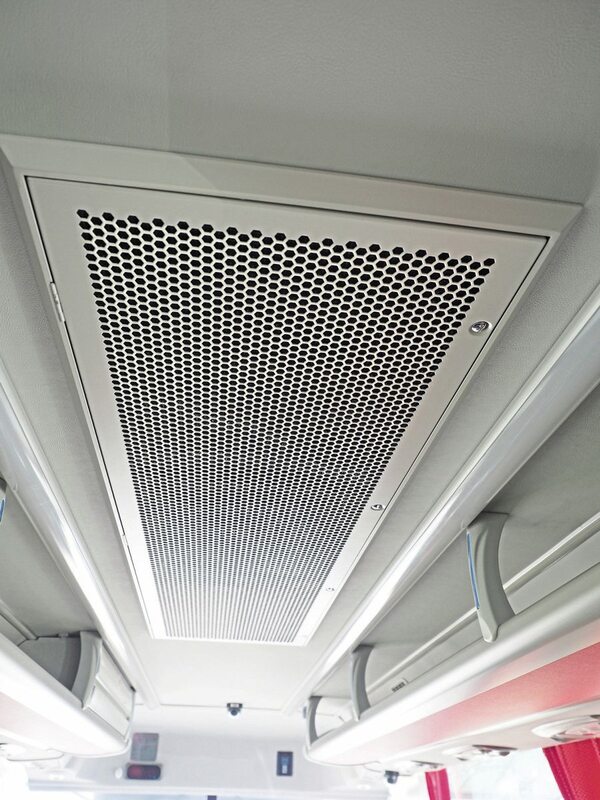 Passenger service units are neat and attractive, mounted in open overhead luggage racks which have no dividers. 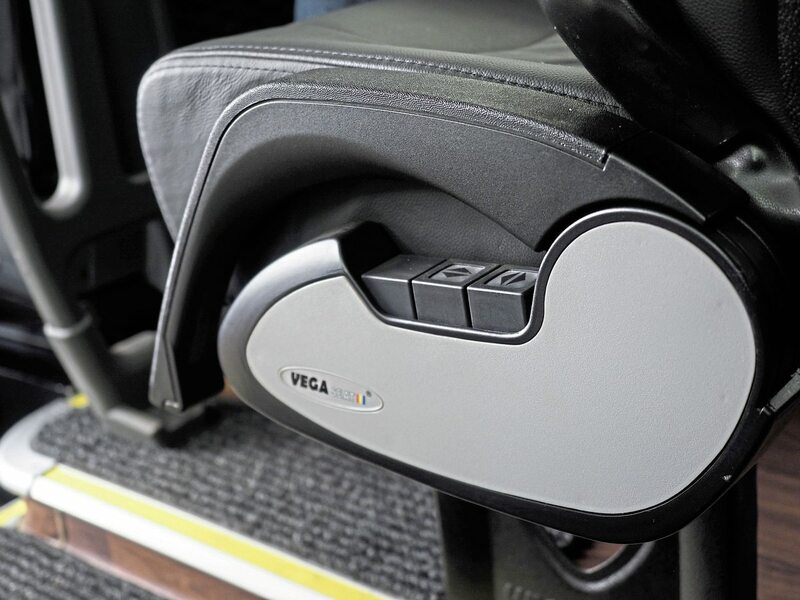 USB sockets are provided for each pair of seats, mounted low on a bracket between each seat pair. The saloon length has mood lighting with a variety of settings including a cool-blue ambient night-time running mode. There was adequate lighting to all entrances and for the driver. The 830mm-wide front entry is a big plus, the entrance having four steps to driver level and a further small step on to the sunken aisle. 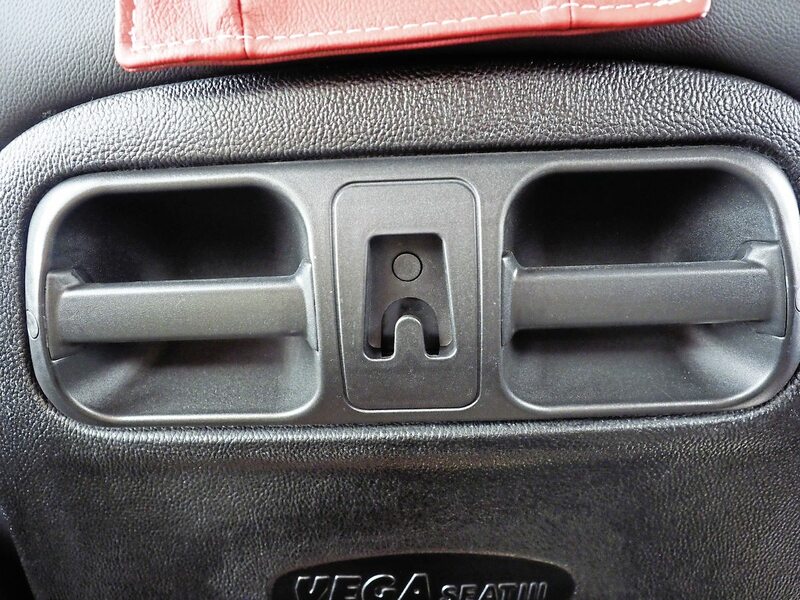 The rear door has four steps with a grabrail and, at the rear of the nearside seat row, a high-visibility stanchion with ‘Stop’ button mounted. One of the Higer Super 9XL’s major plus points is its driveability; the combination of Cummins engine and EcoLife gearbox are a perfect match, and the coach is both lively and sure-footed. 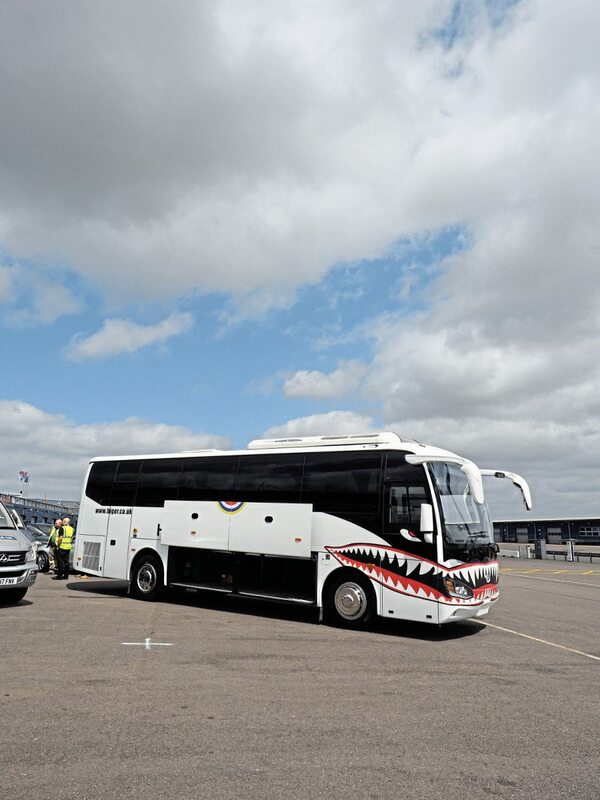 Noise levels are impressively controlled even at the speeds many drivers took the coach around the twisted inner circuit at Rockingham and on the banked curves. The transmission and running gear revisions have been fully justified. The coach has 22.5-inch Alcoa Durabright wheels booted with Michelin Coach rubber, air suspension throughout and a raft of electronic handling and braking aids, all of which combine to make the driving more or less fool-proof. 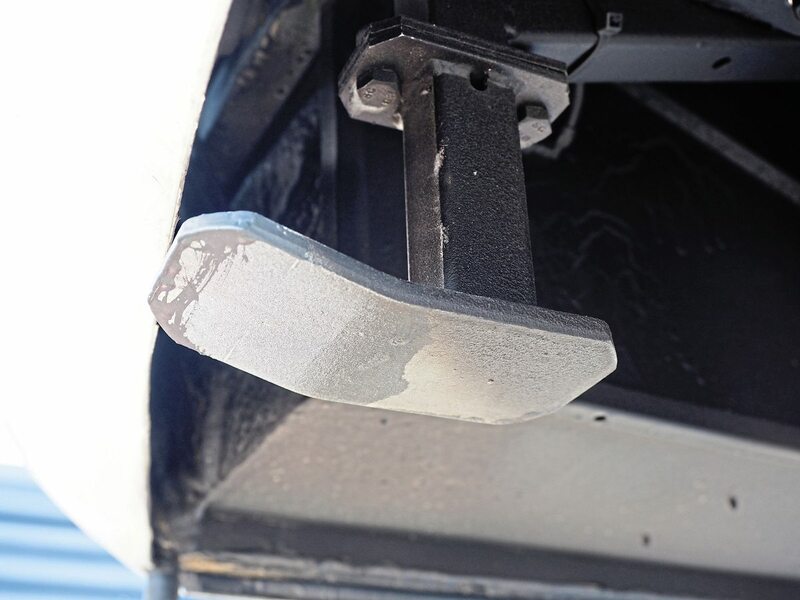 The gearbox incorporates a four-stage intarder which, combined with disc brakes increased in size over the previous model, gives ample stopping power. The turning circle is impressively small. The Super 9XL comes with a two-year bumper-to-bumper warranty inclusive of labour charges. 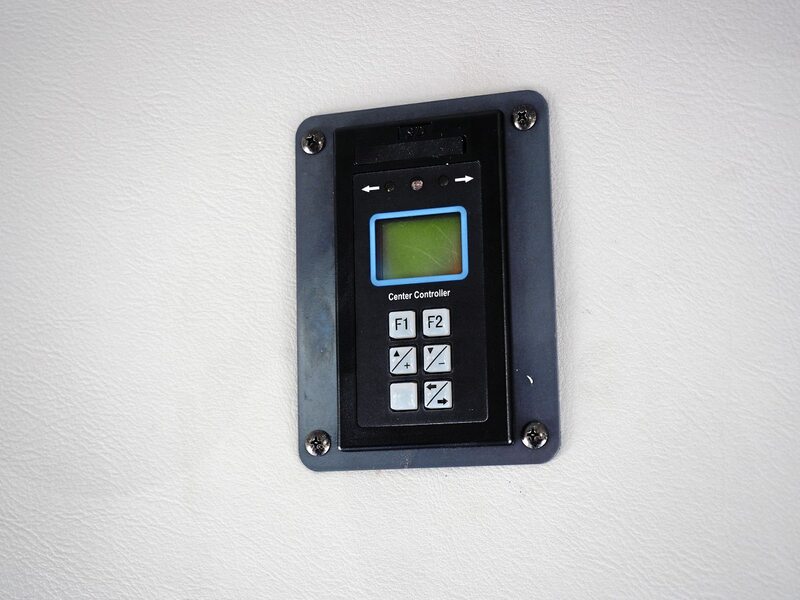 Warranty is administered by WMS Warranty Group of Oxford. While the headquarters for Harris Auto is on the Naas Road near Dublin, UK buyers will be able to see the Higer range at RWT. Glass is being stocked by PSV Glass, and 24/7 breakdown services are from National Coach Assistance and National Transport Breakdown Services, both in the Manchester area. The engine is fully supported by Cummins, which attended the launch event. 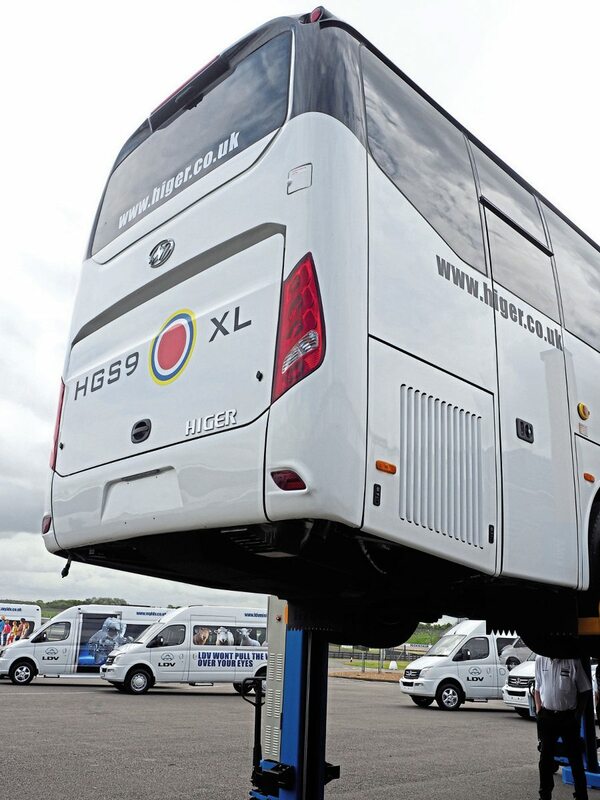 One operator at the event heaped praise on development of the Higer Super 9: “I absolutely applaud what Harris Auto is doing here, and the Super 9XL is a lovely vehicle which has moved so much further forward. A 6.7-litre four pot? Won’t this be dreadfully harsh? I would have thought a six would be more suitable for this kind of application.